... at least in the beauty realm of my life. 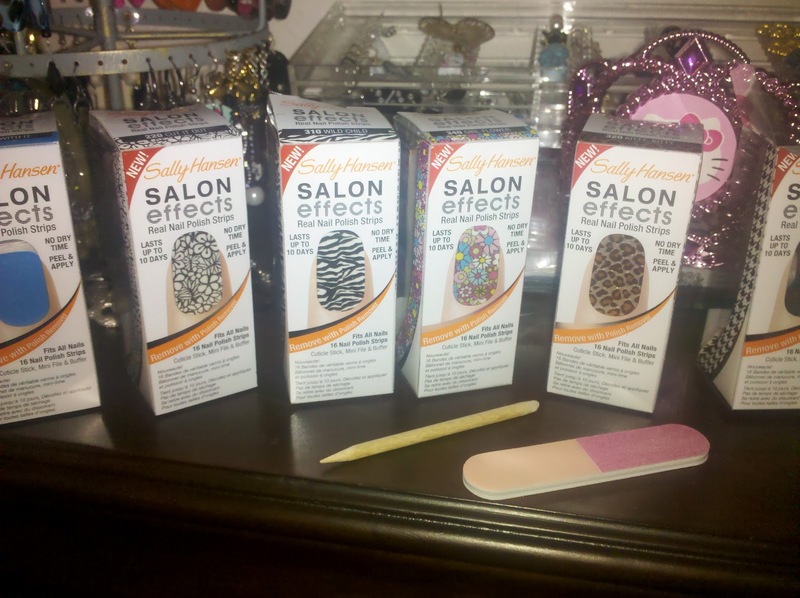 Numero uno is the Sally Hansen Salon Effects Nail Polish stickers. Oh. My. Gawd. I'm pretty sure I've spent over $100 on these since I discovered them about a month ago - and completely unnecessarily, because they last forever, AND because I have such tiny nubbins I can get two uses out of each box (just cut 'em right down the middle - use on toes, too!). But I've been buying them up like mad. Don't judge me. They are incredibly easy to apply (I may be the Goddess of Makeup and Hair, but I am the Dumbass of Manis and Pedis and even I can manage them quickly and painlessly) and wear for weeks - seriously. 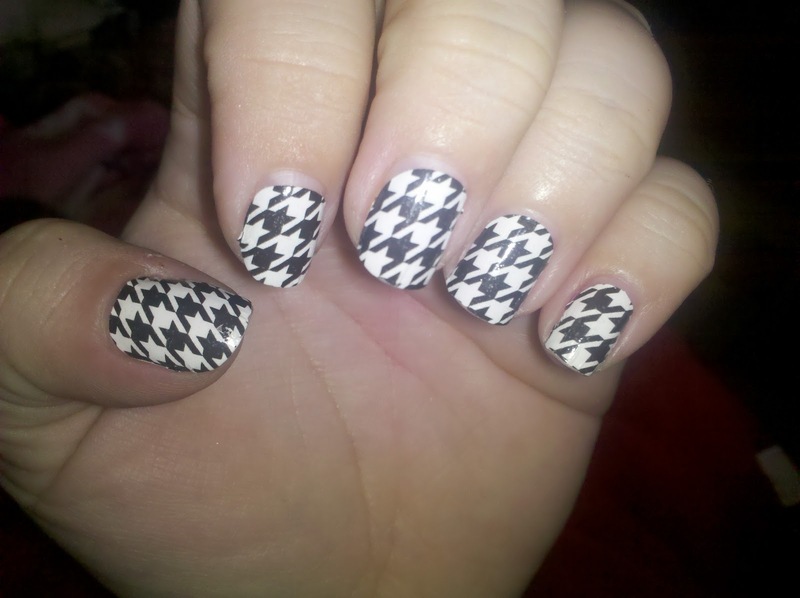 I used to get my nails Minx'd, which is the very pricey predecessor of this patterned nail sticker thing, and my hands never held up this well at five times the price. 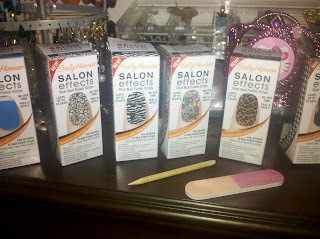 They come off with regular nail polish remover and retail for just under $10, but you can often find a coupon or use "bucks" from Rite Aid, CVS, or Walgreens. I'm in love, fo' real. And nothing makes my tiny little chewed-up child nails look chic quite like leopard print and houndstooth. Obsession part deux is the Olay Pro-x Professional cleansing tool... which falls under the category of stuff I never knew I needed or wanted until I had it and now can't imagine life without. And I want to put one in the hands of everybody I know - and not just because I feel like I am the only person on the planet who exfoliates her face with any regularity :). This is a battery-operated, shower-safe little gadget with a very soft brush head that rotates at two varying speeds. The best comparison I can make is the difference between brushing your teeth with a regular toothbrush versus an electric - you know how smooth and lovely your teeth feel? This does that for your face, as well as allegedly prepping the skin to better receive moisturizer. Whatever. It makes my super-sensitive rosacea face feel super clean and very soft and smooth (without turning me redder), and I swear it has even done something to diminish the sea of blackheads on my nose that I can stare at for hours even though no one else claims to see them. AMAZING. I should note that I'm not using the cleanser that the Pro-X came with - it has little granules in it and makes my rosacea flare up just looking at it. It should be fine for a more "normal" skin type, but I'm sticking to my old lady Dr Weil for Origins cleanser that I swear by, and it's still working just swell.